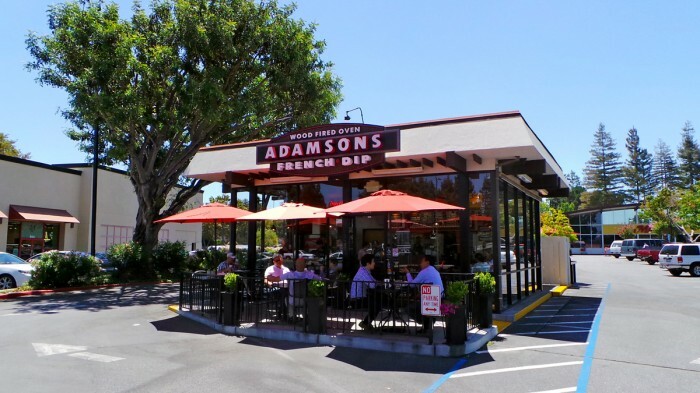 Adamsons is not the kind of place you’d expect to find in a strip mall in the heart of Silicon Valley. It feels like a franchise that should have already spread its seed throughout the Nor-Cal landscape but this is the only one. This singular shop is family owned, but you wouldn’t guess that by the decor. Despite all of this it’s comforting and refreshing to learn that it does exist. 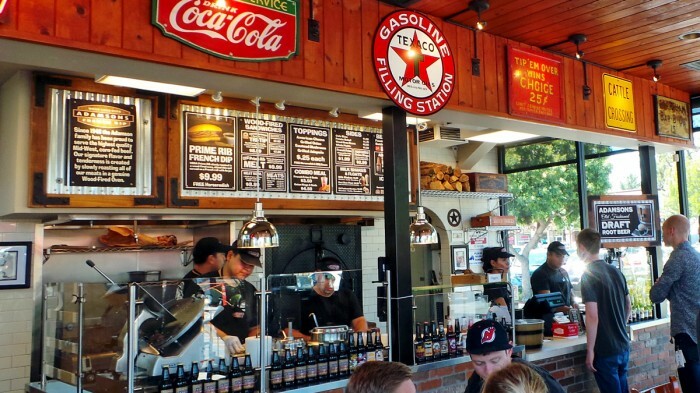 The decor has a rustic, old-timey Texas feel while still remaining very polished and clean. I’m not quite sure why they’ve gone for the Texan theme since the French Dip sandwich was invented in Southern California. I guess their approach to roasting meats over wood fire is similar to Texas barbecue, but that’s still a stretch for me. Nonetheless, Adamsons is pretty awesome. 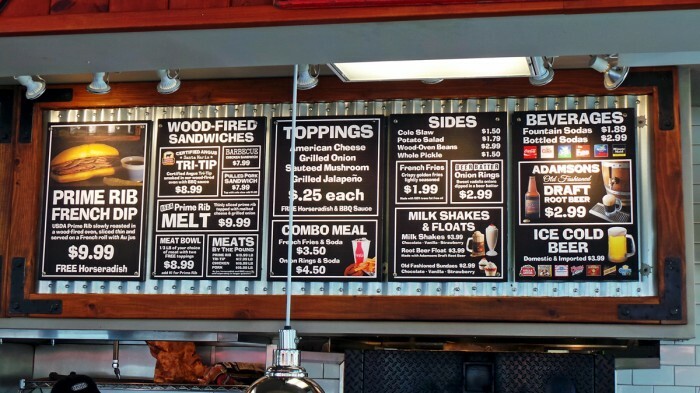 It has a fairly simple menu with a couple of sides and sandwich varieties. I figured I would be doing the place a disservice if I didn’t go for the namesake Prime Rib French Dip. 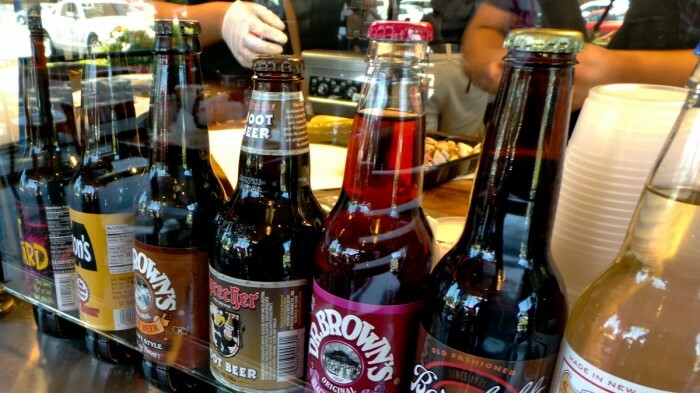 But before we get there, Adamsons has a really impressive selection of bottled root beers. The house brand of Adamsons Old Fashioned Draft Root Beer caught my eye. 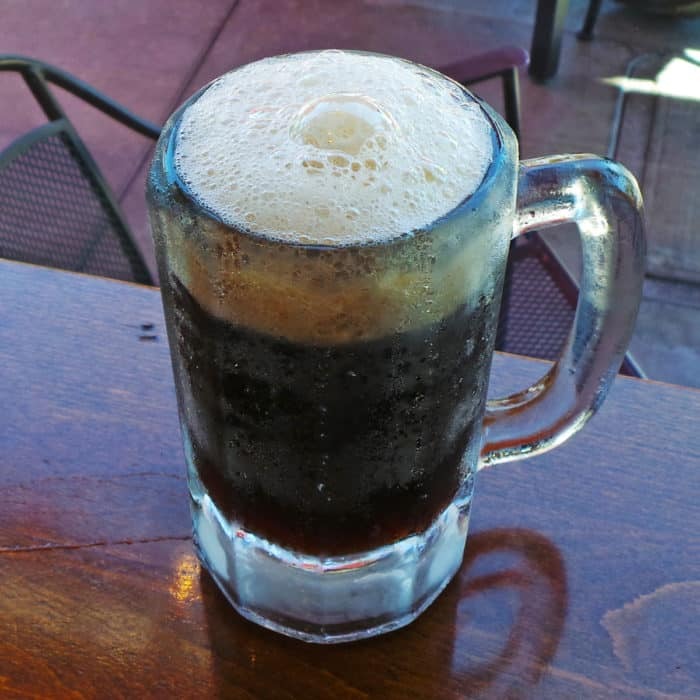 It was served in a big, frosty, glass mug filled up to the top with a gorgeous foamy head. It was quite good, though slightly under-carbonated if you ask me, but that’s just me being picky. Another worthy addition to my meal was one of their gigantic Whole Sour Pickles. For $1.50 I got a truly enormous snappy pickle quartered into spears. 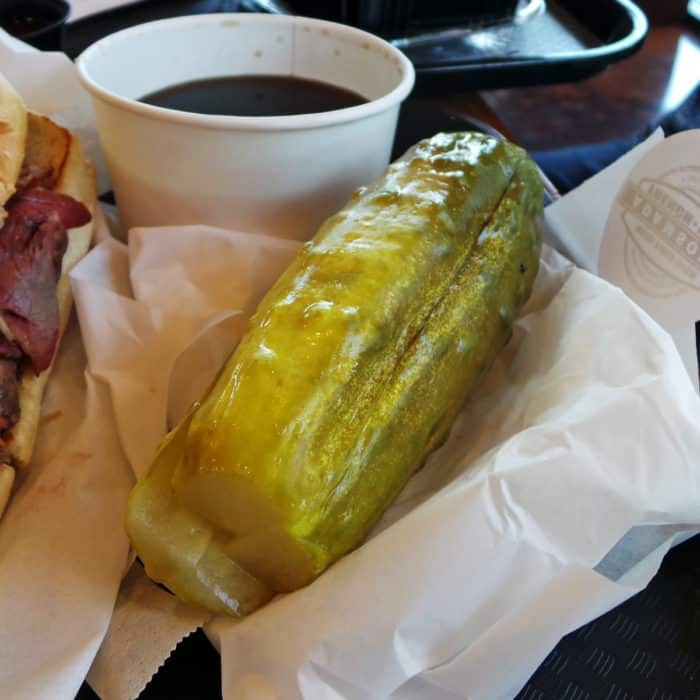 I’ve always been a big fan of pickles, especially along side a meaty sandwich and this one really hit the spot for me. Definitely get this. And finally, the main event: the Prime Rib French Dip Sandwich. Served with a steaming bowl of brothy beef jus and a tiny container of spreadable white horseradish, this sandwich lived up to it’s reputation as a killer French Dip. It was made with juicy, thin-sliced prime rib, roasted over a wood-fire, and layered onto French bread with crisp grilled onions and melty American cheese. 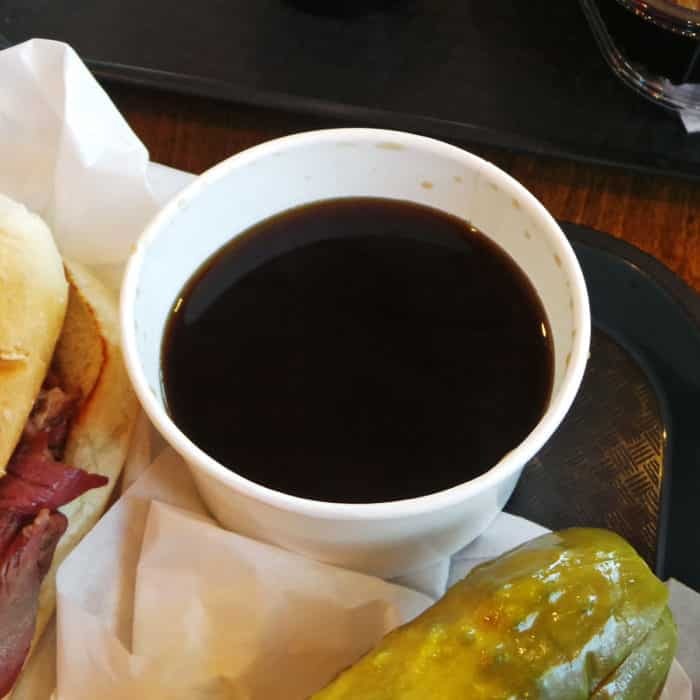 If you’ve ever had a French Dip in your life, you know the next step. Take one half in hand and dunk it into the bowl of brothy beef drippings before shoveling it into your face. 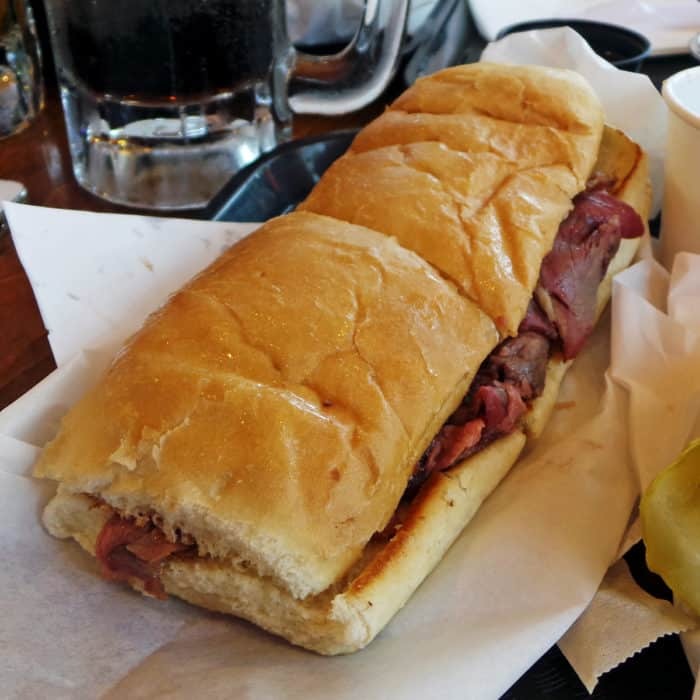 If you know what’s good for you, add a little smear of that kickin’ horseradish sauce which really brings the whole sandwich to another level. I don’t even enjoy horseradish most of the time, but this stuff was incredible. If I had one qualm with this whole set up, it would be that the jus was a little thin and the whole thing needed pepper. 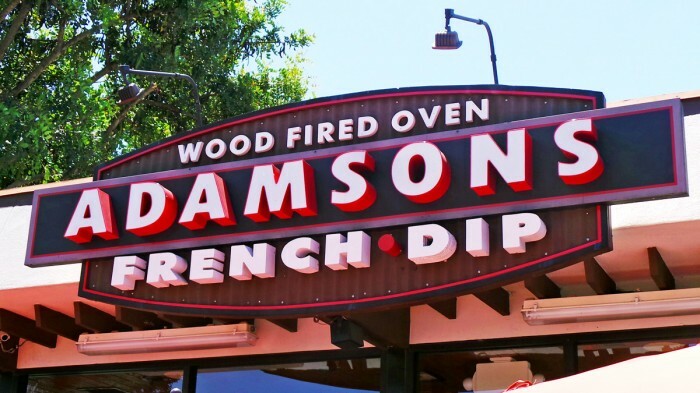 So if you are struggling to find solid lunch options in Sunnyvale, give Adamsons French Dip a shot. I really enjoyed my hearty, beefy sandwich and think its one of the more exciting lunch spots I’ve found in the area. Got another excellent lunch spot in Silicon Valley I should check out? Let me know in the comments below. Quenching Late Night Sushi Cravings at Ryoko’s in Union Sq.